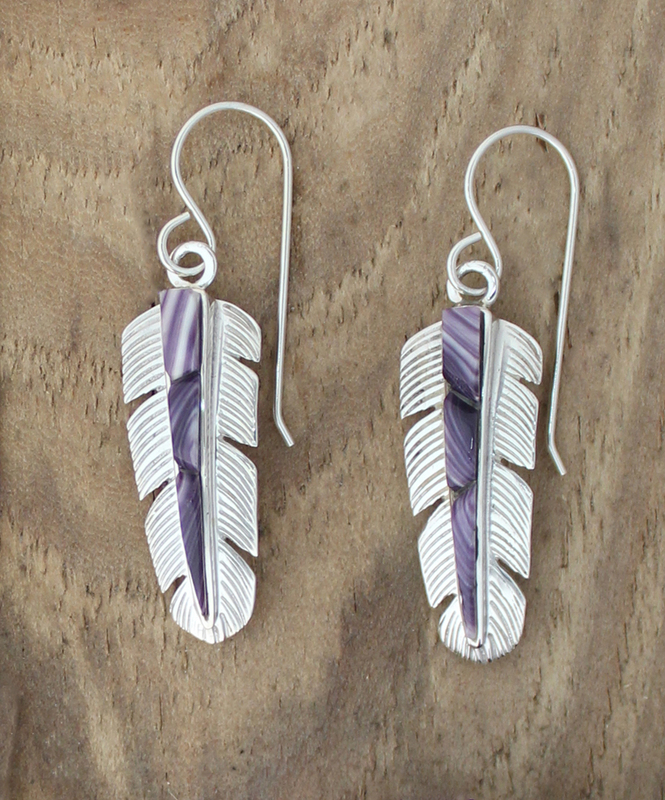 Handcrafted in our workshop, this Sterling Silver Feather Earrings captures the beautiful flow of a delicate feather. 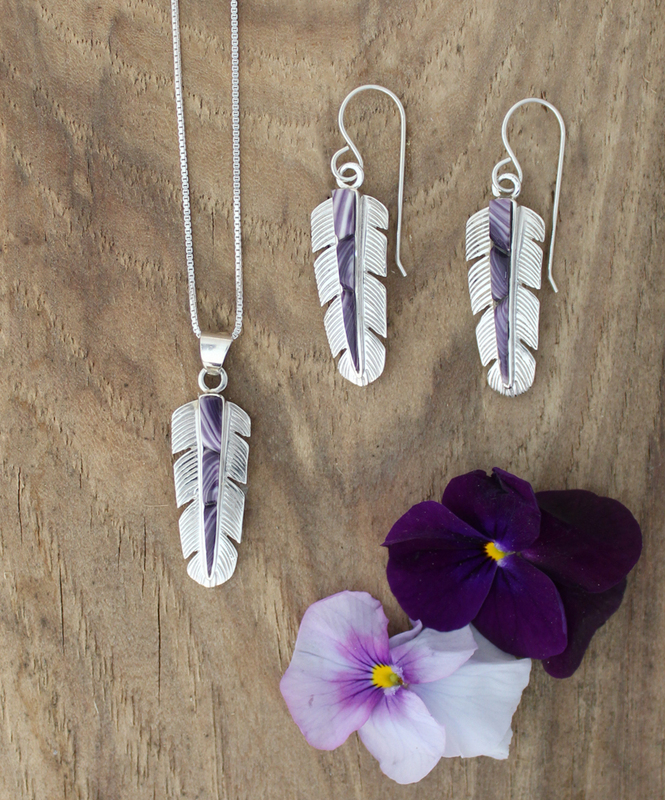 It features an hand-cut Wampum pieces that are cornrow style inlayd with a detail Sterling Silver cut feather design. *See matching Necklace or buy both as a Set.